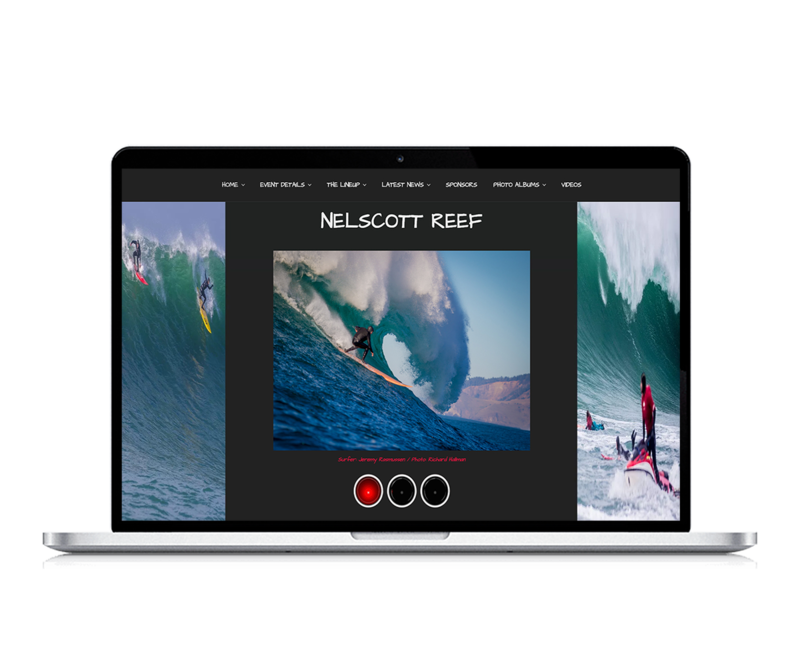 The Nelscott Reef Pro is a wold famous competition. The website for it had to be top notch and it is extremely content heavy. 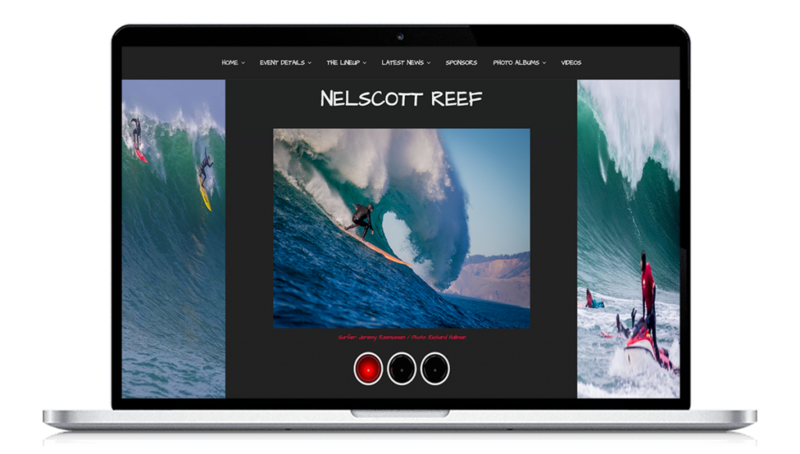 With over 20 albums and 12 embedded videos, the Nelscott site is definitely entertaining. It has to be able to accommodate years more of contest videos and albums and it is set up organizationally to do so. The website includes an athlete roster of over 30 contestants and 20 alternates. It is a huge site, yet you will find it super simple to navigate. With proper categories and tag’s we were able to accomplish a difficult task. Nelscott features a red light warning system which we actually created a custom flashing Giff file for in all three colors. Something you could not find anywhere on the web until we designed it. Simple but it needed to blend into the theme so we went the extra mile. Nelscott took over 220 hours and we will be giving a class at a WP meetup on its unique use of the WP 2017 theme. On a side not check it out, its AWESOME!